The founders of Project Scion are proud to announce that their inaugural project, The Orchard, at the corner of Jay and Child Streets has received the Award for Best Community Enhancement Garden from the City of Rochester. 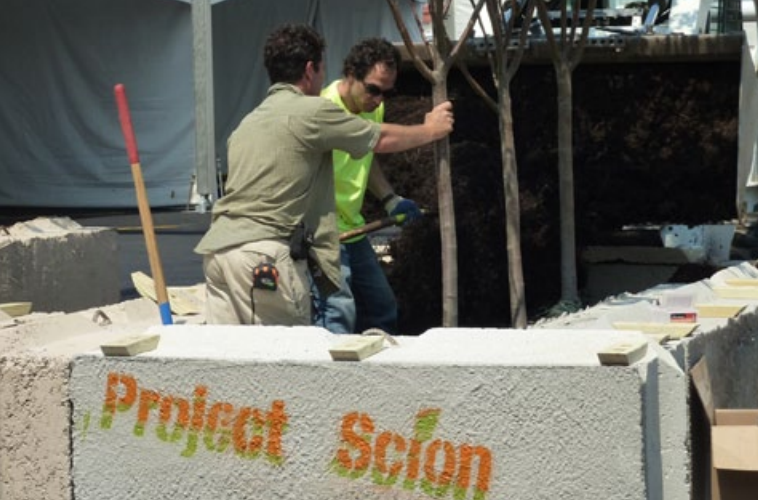 Project Scion is a collaboration of Landscape Designers, local business owners, area artists and neighborhood groups seeking to transform vacant city lots into resident inclusive green spaces. The mission of Project Scion is to use the healing and inspirational attributes of gardens and art to reclaim the vitality of our city’s neighborhoods.